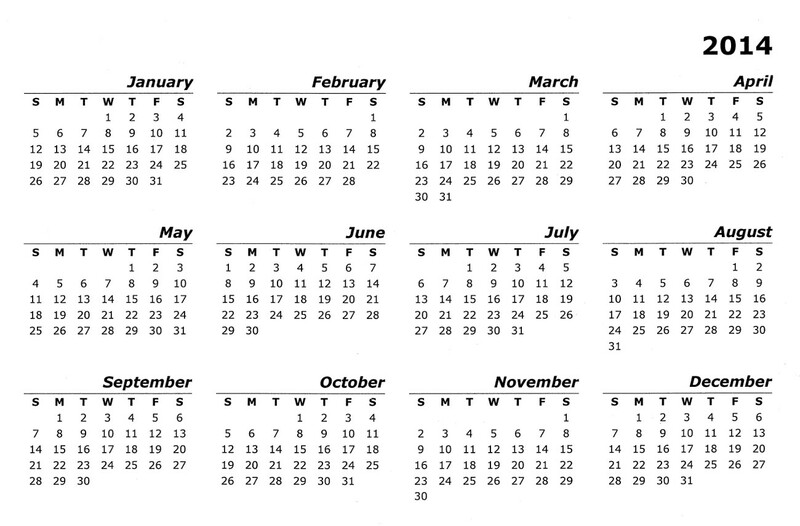 It's a year-view calendar with days grouped into months and every month has seven columns corresponding to days of the week. I'm looking for an adjective. This is ______ calendar. This is a year-view calendar. If you asked me “what's this?”, I would like James probably respond “it's a calendar”, but I would say the same if you showed me a month-view calendar. Since you specifically mentioned that it covers a whole year, it becomes a question of what terms do people use to distinguish year calendars from month ones. A larger year-view grid with spaces to write or draw in would be a year planner or may be mounted so as to be a wall planner. But your illustration isn't one of those. I typed into Google: "twelve months on one page calendar" and found that expression is clearly used. One website calls it a yearly calendar, whereas a calendar divided into months is called a monthly calendar. There are also 13, 15, and 18 months calendars and a 3 year calendar. I just double checked and Google retrieves 494,000 results for "yearly calendar". I would just call it a calendar, but you could also call it "a single-page calendar." Not the answer you're looking for? Browse other questions tagged single-word-requests image-identification or ask your own question. Are there words that refer to the different duration of months? Generic term for dates not present in some/all calendar months? What do you call two consecutive months; a sixth of a year? What are the leading or trailing days on a monthly calendar called?